There is no sugar-coating it, Wes (@WestonBergmann) has been crushing War of the Worlds so far. He returns to Challenge Mania to tell Derrick (@DerrickMTV) and Scott (@SHOTOFYAGER) why his plan has been going so well, what alliances and vendettas he's developed along the way, whether he thinks this season marks a changing of the guard, why he'd never align with Bananas on a future season and a whole lot more! For MORE ... See More Challenge Mania, including our exclusive post-show breakdowns of War of the Worlds called THE WAR ROOM, head to www.Patreon.com/ChallengeMania and consider becoming a patron today. Among many perks, it comes with a boat-load of bonus content and we're going to need a bigger boat. The Challenge Mania Shop is open as always. 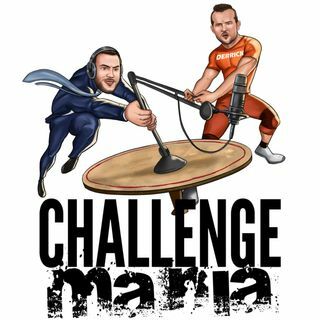 Head to www.ChallengeMania.Shop to support the podcast and look good doing it. Play in DraftKings' March Madness Bracket for free at dkng.co/challengemania - 21 and over - eligibility restrictions apply, see site for details.